The Green River Killer is responsible for the murders of at least 50 women during the 1980s, most of whose bodies he left along the Green River in Washington. 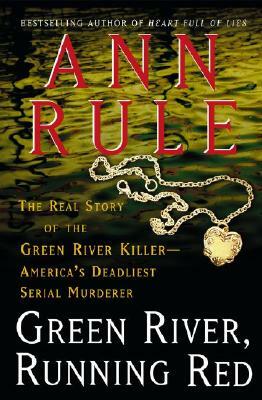 Ann Rule, my favorite true crime author, spent more than two decades researching the killer’s story for her book Green River, Running Red: The Real Story of the Green River Killer–America’s Deadliest Serial Murderer . It seems obvious that she would be interested in the murders, since there were so many, they all were women and some of their bodies were found nearby her home. She also later discovered that the killer attended signings for some of her other books, watching from a distance. How creepy is that? What was so interesting to me about the murders is how long the killer got away with it. Gary Ridgway killed women for 21 years before finally being caught. His killing spree outlived even some of the detectives assigned to the Green River Task Force, but it didn’t outlast Rule’s curiosity or determination to write a book about the killings when he finally was caught. As always, Rule does an amazing job of piecing together these women’s stories and attempting to help the reader understand as best they can the efforts police took to find the killer and the true hatred that resulted in his actions. 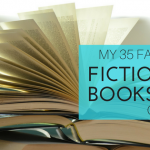 I’ve only read two true crime works before – Helter Skelter and In Cold Blood. 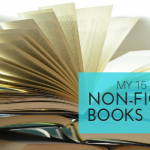 I thoroughly enjoyed them, but as a whole I keep forgetting about the genre. I really should try out this author. Thanks for the recommendation. TammyL You should try Ann Rule. I really love her writing. The Stranger Beside Me is about her personal relationship with Ted Bundy. They were friends and she was writing about his murders while they were happening. How crazy is that? It’s a great book.